A position of need, I would have prefered a tackle that can play guard as well. ESPN literally did not talk about our pick instead going to commercial. They didnt even broadcast the pick live. "A pair of anonymous NFL scout speaking with the Milwaukee Journal Sentinel both said Louisville G John Miller has limitations. "You like the way he plays," said the first. "He's tough, but he's 6-2 and 300. OK athlete. He's got some quickness but he's not a great player. He struggles in protection some. Gets beaten on the edges." Miller improved from 7 to 14 on the Wonderlic on a second try, but the MJS reports some teams wonder if he'll be able to react and adjust. "Learning is a little bit of a process," the second scout said. "Pass pro is good enough. Oh, yeah, he's a good player." Miller was a four-year starter at guard. We're big fans, higher on the Cardinal prospect than either of these two gentlemen. Josh Norris ranks Miller as the No. 4 interior offensive line prospect." Big discrepancy in grades on John Miller. @MelKiperESPN had him No. 80 overall, but Scouts, Inc. had him at No. 170." I had John Miller going to the Bills - but in the fifth round. Having said that, I don't think this is a bad pick, or anything. 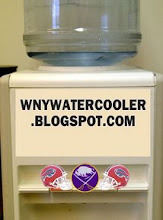 I had Miller going a bit later than I wanted to, so Buffalo is reaching by about a round. Still, the Bills are filling a big need on the interior of their offensive line, so I don't have a problem with this selection. Read more at http://walterfootball.com/nfldraftgrades3.php "
The Colts pick No. 29, around where Darby might go. The 5-foot-11, 188-pound Darby has good size, athleticism and outstanding speed, boasting 4.38 second wheels. Some have called him soft, but we see a decent tackler who isn't afraid to get dirty." I dont like the pick but I dont hate it.